Book Blurb: He Belongs to Me is a love story . . . a tale of betrayal and deception and of a young mother's determination to recover what belongs to her. My Rant: It’s hard to tell where I should begin because I have so much to say about this story. I will start off by saying that I did not prepare myself emotionally for the book. I had no idea that this plot would be so emotionally intense. There were times that I threw u p my hand because I could not take anymore. The author pull you in from the beginning of the book and from that point on you are committed to the story. The romance between the characters is not easy and I feel that the author displays that reality about relationships in this story. There are times in the relationship where you would have to compromise and work hard to keep the love stirring. Working hard for the romance in this book is an understatement. Catherine had to work through many issues in this story and through these issues the author displays Catherine’s vulnerability. Just by putting myself in Catherine’s and Thomas shoes I couldn’t imagine dealing with her parents let alone having my husband accused of my twin sons death. It is bad enough that she had to deal with the loss of her son but to do that alone and still have the strength to fight for the custody of her other son was heroic. When Catherine petitions her parents for custody over her son, they are unwilling to give up custody. At this point I am pissed, really after all the ish you put this girl through you want to fight her for the custody of her own child. Honestly, if I were Catherine I would not have given them temporary custody in the first place. I could not stomach her family. The extremes they would go through just to keep secrets and as the story unfolds you have to pinch yourself an maybe re-read what you just read because you cannot believe the things that are exposed in the story. I was rooting for Catherine and Thomas to get back together. I feel like they had a case or a string of bad luck and what started out as an agreement could develop into something so beautiful between the characters. You know how we all want a simple romance story; well I can tell you there is no simplicity here. The angst you go through is so overwhelming that you want to put the book down because your heart is being battered to a pulp but your so addicted to the story that you cannot because you want to know what is going to happen next. This book drew out so many emotions in me. I am exhausted, emotionally exhausted but in a good way because the story and the plot gave me everything I hoped to get in a good story. I enjoyed the plot, the characters and the emotional difficulty this story had to offer. This is my first time reading a book by Theresa Rizzo, I can honestly say that this will not be the last and I will be adding this story to my favorites list. I rated this book 4 out of 5 Purple Rant Hearts and would recommend this book to anyone one that loves a contemporary romance that pulls at your heart relentlessly. Theresa Rizzo is an award-winning author who writes emotional stories that explore the complexity of relationships and families through real-life trials. 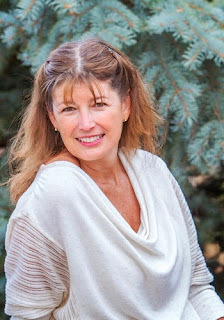 Born and raised in Grosse Pointe, Michigan, she now lives outside of Boulder, Colorado with her husband of thirty years. Learn more about Theresa at www.theresarizzo.com. Follow Theresa onTwitter (@Theresa_rizzo) or Facebook. Thank you for the lovely review, Crystal! Though I almost feel like I should apologize for putting you through the ringer. I hope you found the ending hopeful and positive.